Wow! You've done a wonderful job sharing your spiritual insights. I also believe that there is a divine Light inside. We met on Twitter. I think we have much in common. I also believe people who become stuck due to trauma, mental health problems, addictions, or other forms of human suffering can learn how to experience more miracles in their life. Best wishes and success for your powerful message. 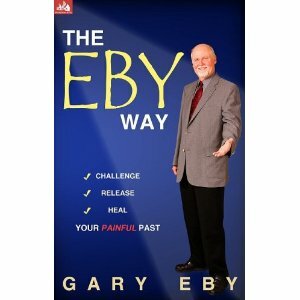 More information on emotional recovery and miracles can be found at http://qlcoach.hubpages.com/. Thank you so much for coming to my site and sharing these kind words. I do remember you and your website and yes we do have a lot in common. Perhaps more than we think. I do agree with you that everyone suffering from the things you mention can learn to experience miracles in life. In fact, I also believe that sometimes those things we identify as ?suffering? ?are? the real miracles. If we overcome the ideas we have formed that ?suffering? as we label it is really an aspect of this human experience we open to an incredible awareness of how everything in this life ?is? an expression of our unique and wondrous, innate nature. How cool would it be if we all saw life in such a way? You are doing an important work, Gary. In the end all of us will come to awareness, not unlike that of the Buddha, e.g. ?life is sweet.? Every aspect of life regardless of how we label it is sweet and wonderful. No lessons to learn, no trials to bear. Just wonderful life full of sweetness, love and perfection. We should consider sharing links. I think there are many who visit my site that would benefit from your special nature. Let me know what you think.